The search term that bring people to PaisleyPerspective the most often is “peace”. 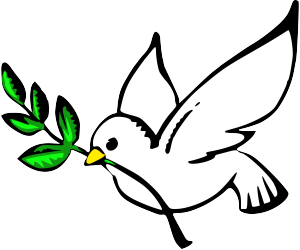 On 12/11/2011 I posted a blog reflecting on the concept of peace. During this month of February associated with love, I thought it would be nice to make it center stage again. Early in our marriage, my husband and I decided to continue attending our individual churches. He is Catholic and I am Baptist, we figure different staircase same heaven. We alternate taking time to attend each other’s church and after 19 years of marriage, it works for us. One of the most enjoyable parts of visiting my husband’s parish is when the congregation shows signs of peace. Shaking hands with those sitting near you is always interesting. The common term said is “peace be with you”, where some have shortened the greeting to just “peace”.